India is providing increasing opportunity to video streaming companies due to various economic trends. Netflix is doing a poor job competing in India, as seen by its low number of subscribers. Due to its high prices and low content library, Netflix has fallen behind its competitors and has a lot to do to catch up. India poses a major threat to the international growth thesis. Technical analysis implies another drop in the short term. I have made it quite clear that I am pretty bearish on Netflix's (NFLX) stock. I did write an article calling it a "Once in a generation short opportunity." However, I am not ignorant to bull theses. For example, the idea of international growth made a lot of sense to me. Netflix has become quite popular in the United States, so what would stop it from expanding into other markets. That being said, I did more research into this thesis and found it might not be as strong a point as I originally thought. In this article, I will focus on Netflix's attempt to expand into India and highlight some of the major issues it is currently facing. In January 2016, Netflix began offering its services in the rapidly growing country of India. It seemed like a great opportunity for the company as there was a growing population, growing economy, and growing technological capability. All of these factors were tailwinds for the streaming industry as there would be more people with more money who have the technology to be able to stream video content. In fact, Netflix CEO Reed Hastings touted that the next “100 million” subscribers would come from India. However, this optimism has taken quite a hit as reality has set in. According to industry estimates, Netflix is estimated to have less than a million subscribers in India. The problem is not a lack of interest in streaming video, but rather competition in the industry. For example, the largest video streaming service, Disney’s (DIS) Hotstar, has been around for one more year than Netflix, yet it has over 150 million active monthly subscribers. The competition is only expected to get harsher in this country. During the last few years, more than 35 streaming services have been launched or have expanded into India with countless more expected to enter in the future. In this article, I will highlight the two main reasons why Netflix has been lagging behind their competitors: pricing and content. There are two aspects of a content service consumers look to when purchasing a streaming subscription, the first of which is price. Netflix’s current price in India comes in around $8 a month. Although many of the people reading this believe that is a steal, especially compared to traditional cable, it is quite high relative to other options for consumers in India. For example, another American company that is trying to break into the space, Amazon (AMZN), is offering its service for $1.90 a month. The biggest player in the space, Hotstar, offers a $3 a month plan in addition to an advertisement based plan. Additionally, the narrative of massive cord cutting that has been a tailwind for Netflix in the United States does not exist on the same level as it does in India. In the United States, a cable TV plan can run upwards of $100 a month. However, in India, the average cable TV plan has been less than $4 a month for the past two decades. In terms of pricing, Netflix has been undercut by the countless competitors, leading management to shift towards lowering prices rather than raising them. This is why Netflix’s announced price hikes of 13% to 18% did not apply to subscriptions in India. In fact, Netflix has recently announced a lower priced option that allows consumers to stream Netflix content on their mobile device for a just $3.63 a month. Additionally, Netflix is beginning to offer cheaper weekly subscription plans that provide more flexibility to consumers. These new actions by Netflix go to show that the competition in India requires substantially lower prices in order to begin to compete in India. Given that the vast majority of Indians speak a language other than English, much of the content that Netflix is currently using elsewhere is useless in the Indian market. Additionally, the linguistic diversity of India may also prove to be an obstacle for Netflix. For example, only 40% of the population learns Hindi as its first language, while only 12% of Indians are fluent in English. This requires Netflix to invest heavily in India-specific content in order to build up a library that is competitive with many of its competitors. With many established services in India already having large libraries of content, Netflix has a lot of catching up to do. However, Netflix is not the only company with plans to ramp up production of content in India. For example, the CEO of AltBalaji, the number one original content producer in India, was quoted saying, “We need to scale up our output [of content].” As a result, not only is Netflix already behind in terms of volume of content, but it will have to compete against established companies that are rapidly ramping up content production. Counter to this bearish thesis is the idea that India is growing so fast that even if Netflix only gets a piece of the action, it will be substantial. There is no doubt that the streaming industry in India is growing very quickly. Data plans have become cheaper and 3G and 4G have become more readily available, in addition to the Indian consumer becoming wealthier. 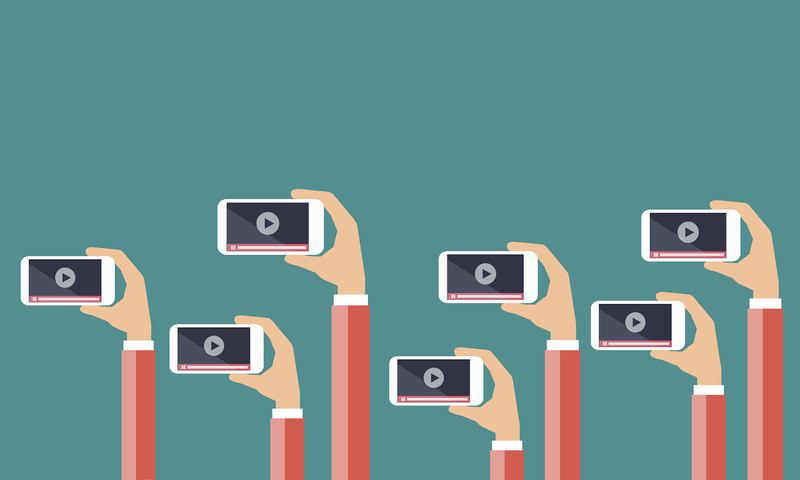 This is why India’s online video market is expected to grow from $700 million to $2.4 billion by 2023. However, based on the current market conditions and a predicted increase of competition, I do not believe Netflix will get enough market share for it to really have a large impact on the top or bottom line. Additionally, many bulls would come out and say that Netflix will generate a large amount of content and be able to raise prices down the road to become profitable in India. 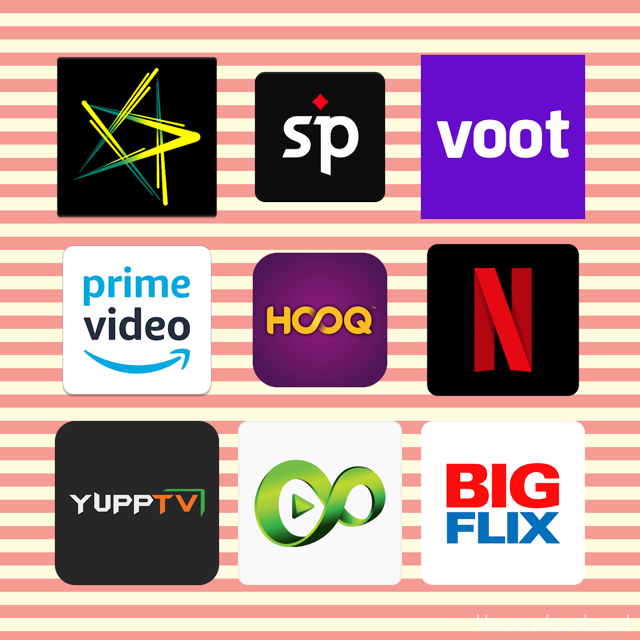 However, based on the poor market position of Netflix in India, there is no reason to believe that they will be able to beat some of the competitors, such as Hotstar, that already have a good footing in the market. With Friday's move, Netflix broke below an upward sloping trend line that it had been on since the beginning of the year. Additionally, Netflix is in a head and shoulders pattern and will likely break below the neckline at $350 on Monday. A break of this neckline would imply a move down as large as the one from the neckline to the head, or peak of the formation ($379-$350 = $29). 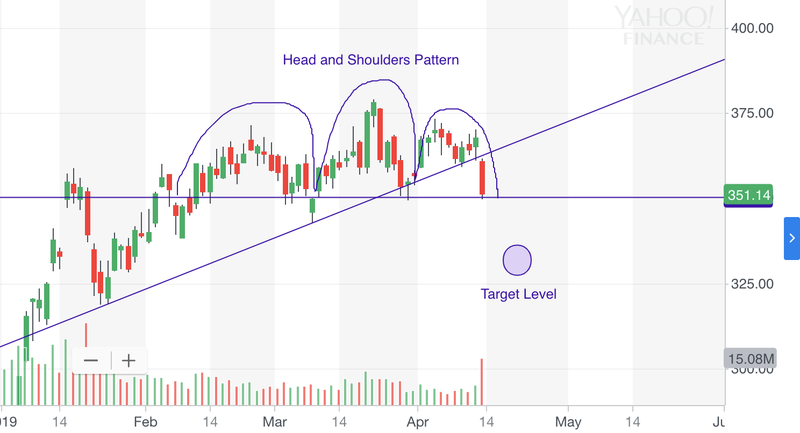 As a result, it would be expected for Netflix to make a move lower to $321 in the short term following a break of the $350 neckline. A large part of the bull thesis for Netflix is the capability to become a major player in international markets, as international markets, such as India, provide Netflix with its much needed growth. That being said, I believe Netflix investors are underestimating how difficult it can really be to break into these markets and India provides an excellent example of this. If Netflix is unable to obtain a substantial subscribers from international markets, the company’s growth story might come to a screeching halt, especially as Netflix stands to lose market share in its current markets as competition begins to increase drastically. Disclosure: I am/we are short NFLX. I wrote this article myself, and it expresses my own opinions. I am not receiving compensation for it (other than from Seeking Alpha). I have no business relationship with any company whose stock is mentioned in this article.